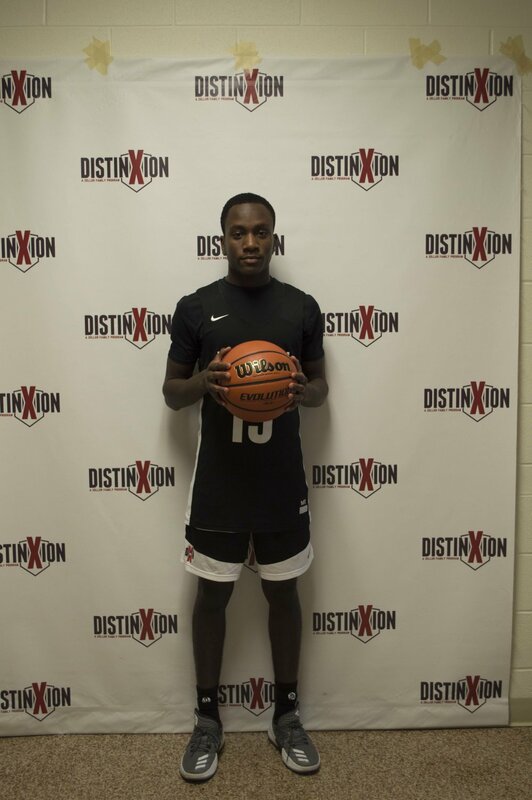 My name is DJ Redding and I chose DistinXion in order to become a better player on the court while also becoming a better person off the court and in my community. I felt like this well rounded, Christian-based program can get me where I want to be in the future in terms of life and basketball. My basketball goal is to make it to the next level one step at a time, and be successful along the way. My primary goal outside of basketball is to be the best person I can be at all times towards my family, community and peers. After High School I aspire to play collegiate basketball somewhere, while studying sports management. My dream job would be to one day be a professional athlete. In my free time I enjoy hanging out with friends, playing video-games, and watching past basketball games on Youtube. A fun fact about me is that I played soccer for 7 years as a kid, for which I was state ranked and was getting college interest at a young age.